For more than four decades, the Butler family and built Butler Automotive Group, which has grown into a network of 12 new and used car dealerships throughout the middle Georgia area as well as near Beaufort, SC. This family’s car business roots run even deeper than the first dealership’s official launch in 1970 when Milton Butler and his son, Marshall Butler Sr., bought the Macon Toyota franchise. It all began 37 years earlier when Milton started selling cars in his Alma Chevrolet dealership, which he sold in 1966. The path to the Butler family business was the same for both Milton’s sons and grandsons. They started washing cars on weekends and helping around the Butler dealerships before officially joining the business. 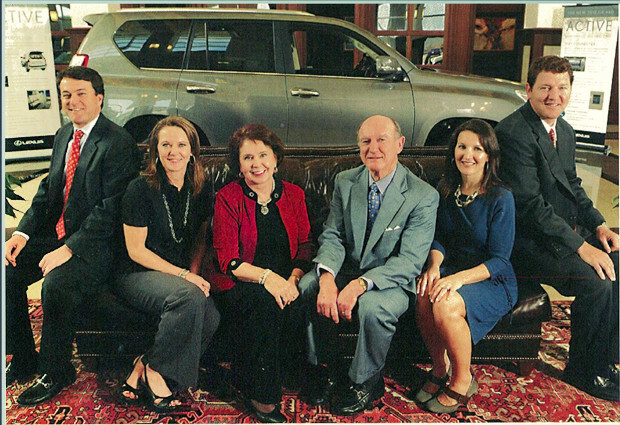 Marshall Jr. and Morris, Marshall Sr.’s sons, joined the auto group in the 1990s and became the third generations of Butlers in the family. In 2009, they became co-presidents. It’s the constant communication that fosters the trusting relationships between family and other senior managers, which feeds the company’s success, keeps them informed, and smooths out any kinks on the few occasions when they disagree. “You’ve got to make sure the business is what you are passionate about and something you truly want to do. You can never take a family business for granted. It takes hard work like any business you are in. You just have to get in there and work closely and work hard and not take it for granted,” Marshall Jr. said. Working with family also helps foster an atmosphere of cooperation and teamwork that is passed through to the company’s nearly 400 employees and its customers. Butler Automotive Group is proud to be part of their community and loves to gives back, providing approximately $300,000 a year to groups like the Salvation Army, Boys and Girls Clubs, United Way and American Cancer Society. Scholarships at the University of Georgia and Mercer University honor the family patriarch and his wife.